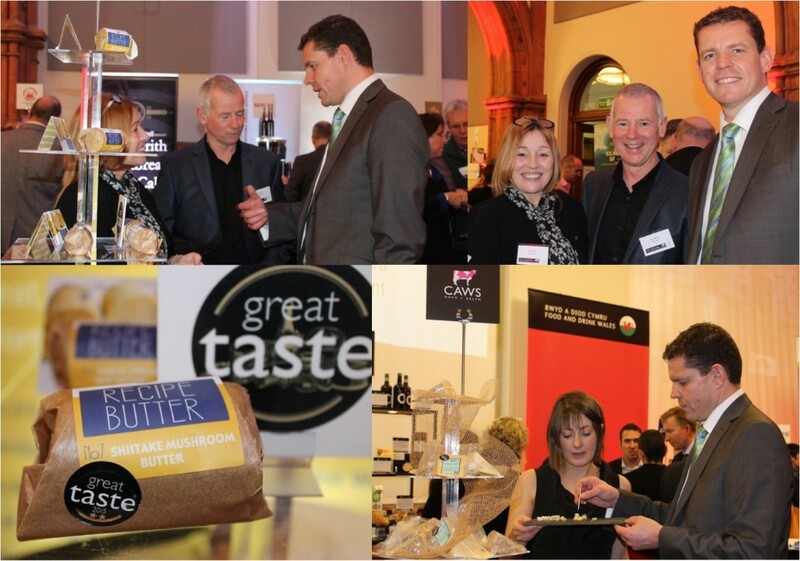 Ynys Môn Assembly Member Rhun ap Iorwerth congratulated producers from Anglesey for their recent success in the Great Taste Awards 2015, at an event to mark the awards in Cardiff Bay this week. Melyn Môn from Llaneilian received two stars for their Shiitake Mushroom Butter, and Caws Rhydydelyn and Halen Môn both received one star for their Anglesey Blue and Juniper-smoked Halen Môn respectively. “It was great to be able to congratulate Melyn Môn on their success in the Great Taste Awards this week and to hear of their exciting plans for the future. It was a great pleasure as well to be able to taste the delicious winning produce! “Congratulations to Caws Rhydydelyn, who were also there representing Anglesey, and who have now opened a successful deli in Cardiff, giving people from our capital city a taste of Ynys Môn.